Anchor Systems (International) Ltd, the sole European distributors for the brand Vulcan®, today announced that they have been granted U.S. Patent Application No.12/372,965 on their Anchor Post System; a rapidly installed self aligning and removable foundation to establish a secure fixing point for applications in Road, Rail, Highways and Renewable sectors, by the U.S. Patent and Trademark Office. 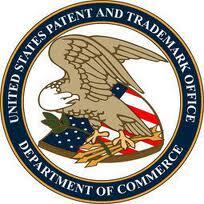 We have now filed for patent for the Anchor Post system in Europe. We are now officially patent pending with The European Patent Office in Munich. We hope to have the patent granted in the next 6 months to allow distribution of the innovation into Europe. Anchor Systems (International) Ltd specialises in geotechnical and structural stabilisation and offers comprehensive advice, design, specification and site testing service for its range of products, which include Vulcan® mechanical ground anchors, Anchor Post, helical anchors and anchor bolts. The patented Anchor Post system is the next innovation designed for the construction sector which specifically satisfies questions on ability, reliability, durability and cost when reviewing the construction project. The use of the Anchor Post System has already demonstrated dramatic savings in installation timescales and overall programme time in the Rail sector, with as much as 5 times the speed over conventional post installation system.